Bell & Ross looks beyond cockpit instrumentation with its latest top-flight timepiece, inspired by the U.S. Air Force's pilot apparel, the MA-1 flight jacket. 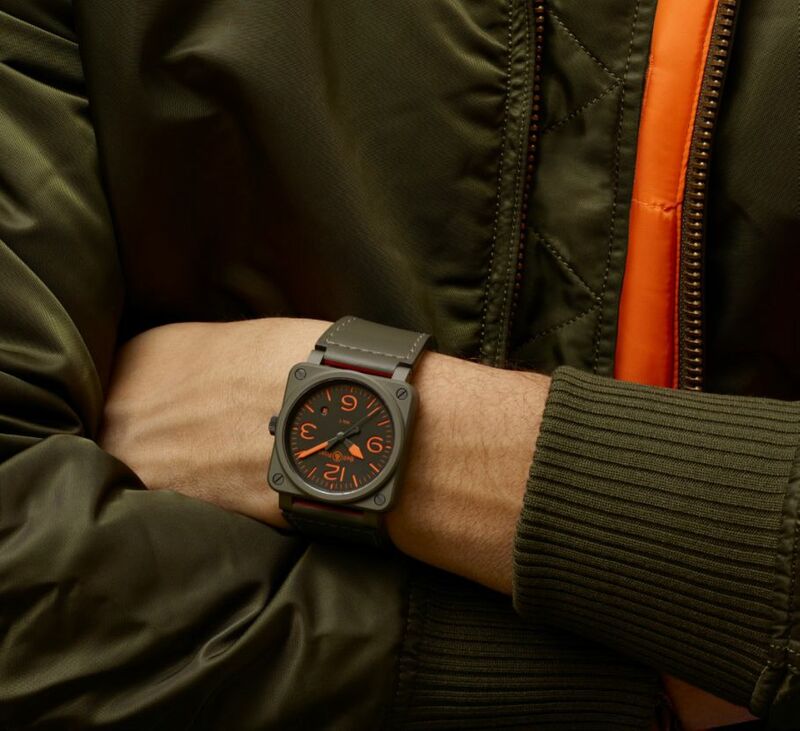 Like Bell & Ross' professional watches, the MA-1 flight jacket answered a critical brief in a highly functional way its sharp aesthetic was a form that simply followed. The widespread adoption of jet aircraft in the Fifties meant that altitudes went higher and therefore much colder. Streamlining and an explosion in avionics also meant that cockpits were more compact. Military pilots' bulky fleece-lined leather jackets of old, liable to freezing uncomfortably in-flight needed to be upgraded fast. Nylon was the alternative which is appropriate as up until then, nearly all production of the polyamide fiber had been devoted to parachutes and parachute cords during WWII. 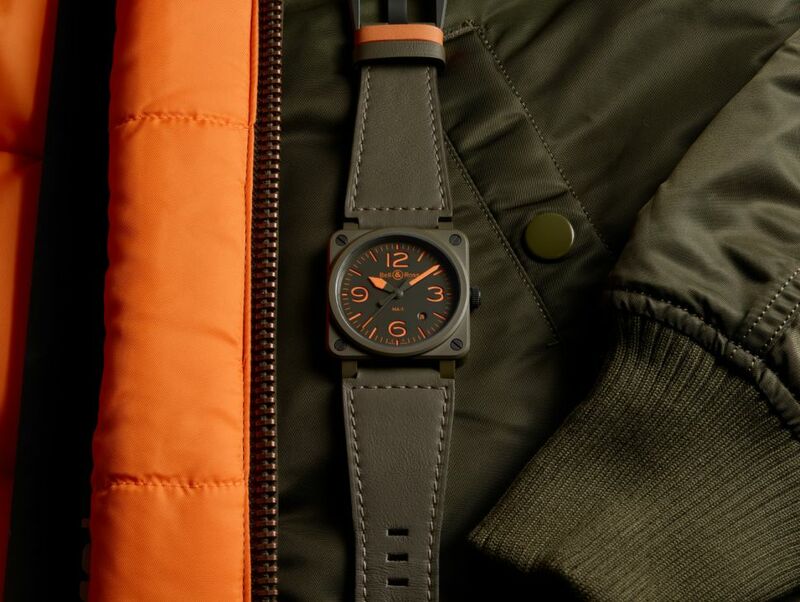 The MA-1 was reversible too, so its orange lining could serve as a wearable beacon while a downed pilot was waiting for Search and Rescue. The jacket then had a resurgence in the 1970s, becoming a style icon. 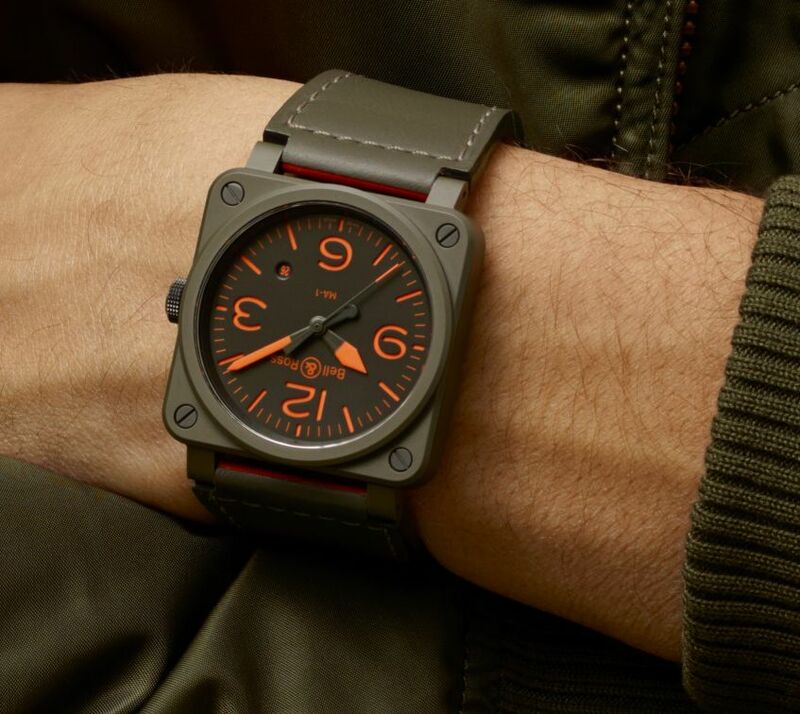 The case, in matte khaki ceramic, measures 42mm. It has an AR-coated sapphire crystal and it is water resistant to 100 meters. The dial is formed by two superimposing metal plates with a sandwich construction. The upper section is cut away around the numerals and indices, revealing the orange SuperLuminova covering the lower insert. Hands covered with orange SuperLuminova. 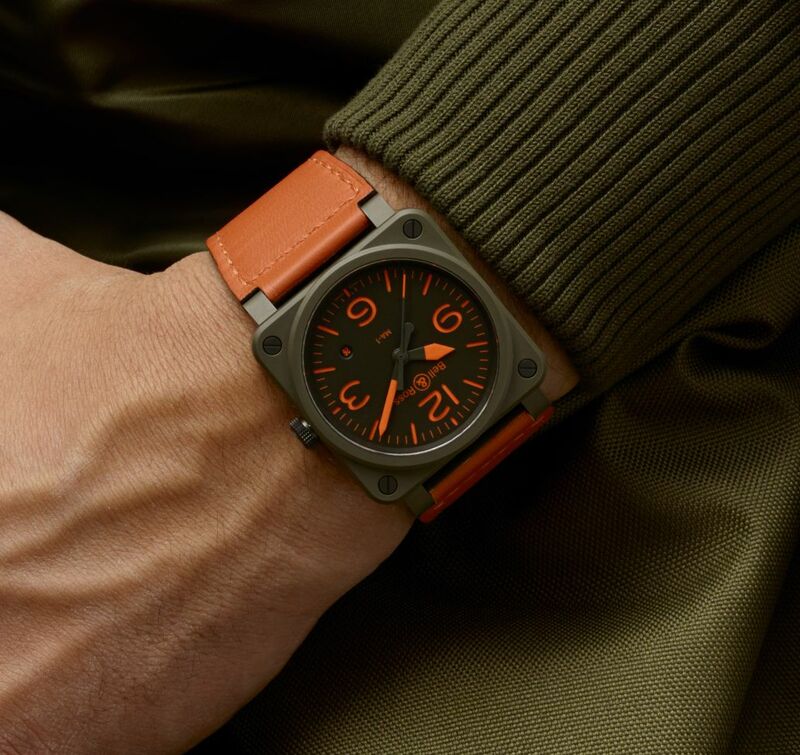 It comes on a reversible khaki/orange calfskin leather strap and with an ultraresilient synthetic fabric strap. Gunmetal PVD steel buckle.